There are places that retain original purity, well, this is one of these. Everything is started almost three decades ago, in the 1989. 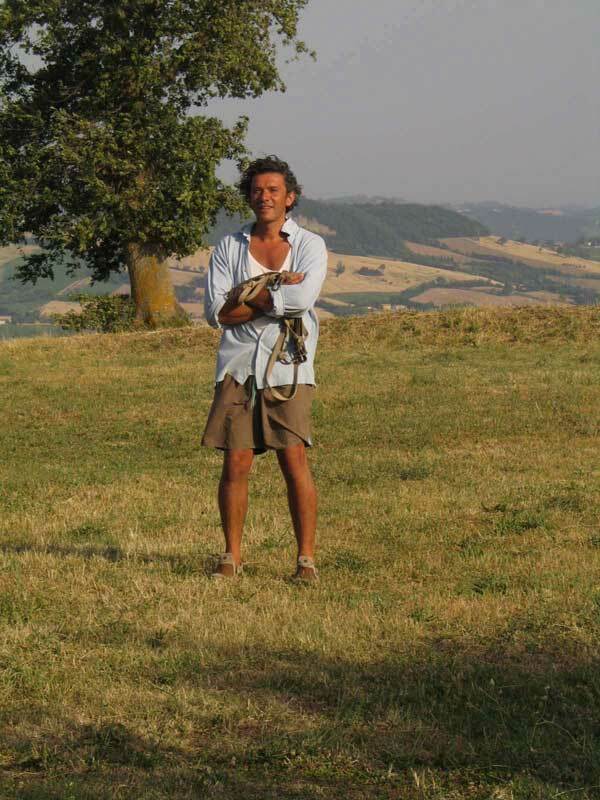 At that time Ennio, after having travelled around the world for his work with horses, he has organized different Agriturismi in Tuscany, he decided to start a new adventure: he settled down at Serrapetrona and that's how Caravanserraglio was born. 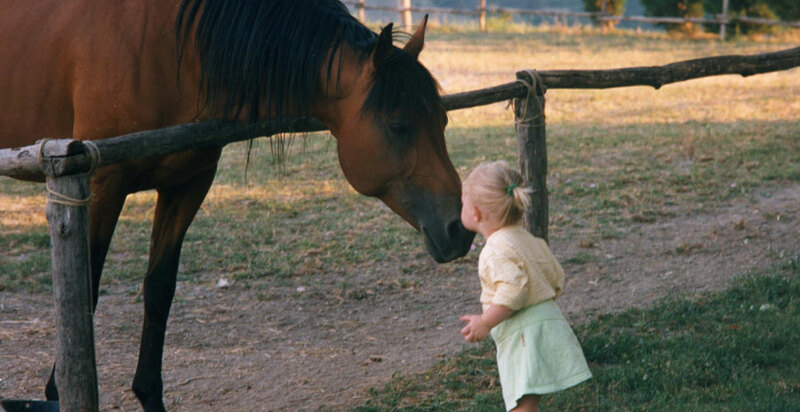 At that time the new project was with horses, animals and young-riders. 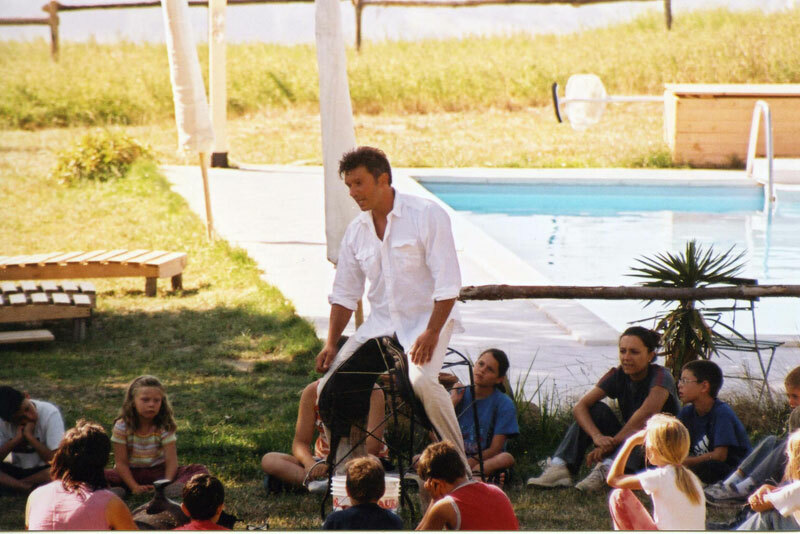 During the years a lot of things have changed and he transformed the property in a beautiful place to receive guests. Ennio is the one that will welcome you at Caravanserraglio and will help you at your arrival, he is always happy to give you information about the historical sites, traditions and the artworks in the area. 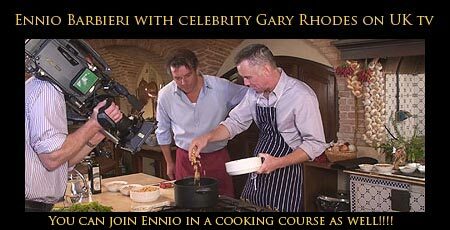 Ennio: nobody knows whether he's able to do everything or that he is just lucky and not being able to do anything. 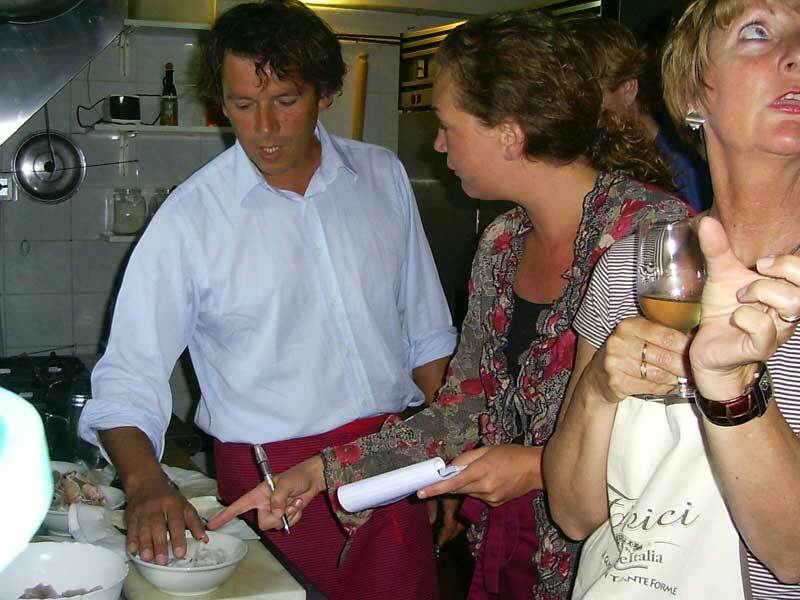 For sure you can entrust him with what concerns his passions for cooking, children, horses and trekking. After having worked professionally breeding and training horses, and teaching children and youngsters the art of training and riding horses, he made the big mistake to purchase a farm, and thus found himself obliged to develop the art of renovating that farm, and as if that wasn't already enough, once completed the work he had to develop the art of making the renovated farm earn a living: hence his full immersion in the kitchen of the restaurant, and in the orchard of the farm, transforming thus a simple passion in a profession, giving him a lot of satisfaction. You can understand that with so many commitments he needs to escape every now and than: that's how he developed the art of trekking and his knowledge of the mountains and the sea. Like Italian grandmothers use to say: learn the art and put it apart. Who knows what Ennio will invent next on the moment you decide to come and visit us; Ciao and see you in Le Marche! The animals that live here will help you to get into the rhythm of Nature. 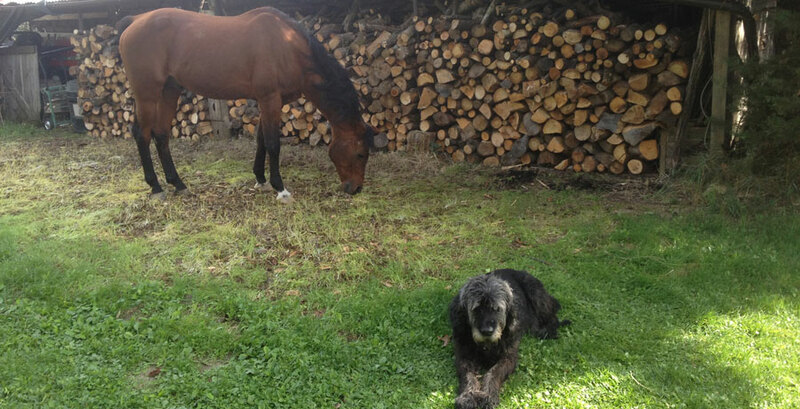 Shamar is an Arabic thoroughbred and the only horse remained from the former stable. The black dog Neo is the guardian of the house. Our cat Mila is a sleepy-head who enjoys every day on a new spot the sun, the wind and the peacefulness that surrounds her.